NorthSole is a small business run by minimalist shoe wearer John Bergervoet. He makes and sells insoles of his own invention, and is also a vendor for Vivobarefoot, Darn Tough socks, and Correct Toes. I first learned of NorthSole in the Minimalist Shoe FB group (where I hear about everything :). John ran a couple of great Vivobarefoot sales that drew my attention and I had a great experience buying with him. However I didn’t pay much attention to his insoles at first. I’m an over achiever by nature, so for a while I didn’t consider using cushy insoles. I wanted to be a legit barefoot person and it seemed like cushion would prevent me from connecting to the ground. Never mind the fact that walking even a mile in barefoot shoes was difficult for me. It’s only been since prioritizing my body’s feedback over a set of rules that I realized how much the right kind of cushion can help me. John invented these insoles himself out of a personal need for some cushion in his minimalist shoes. He was spending all day on hard concrete and feeling the effects. After a lot of research he came up with his 3 layer insole. 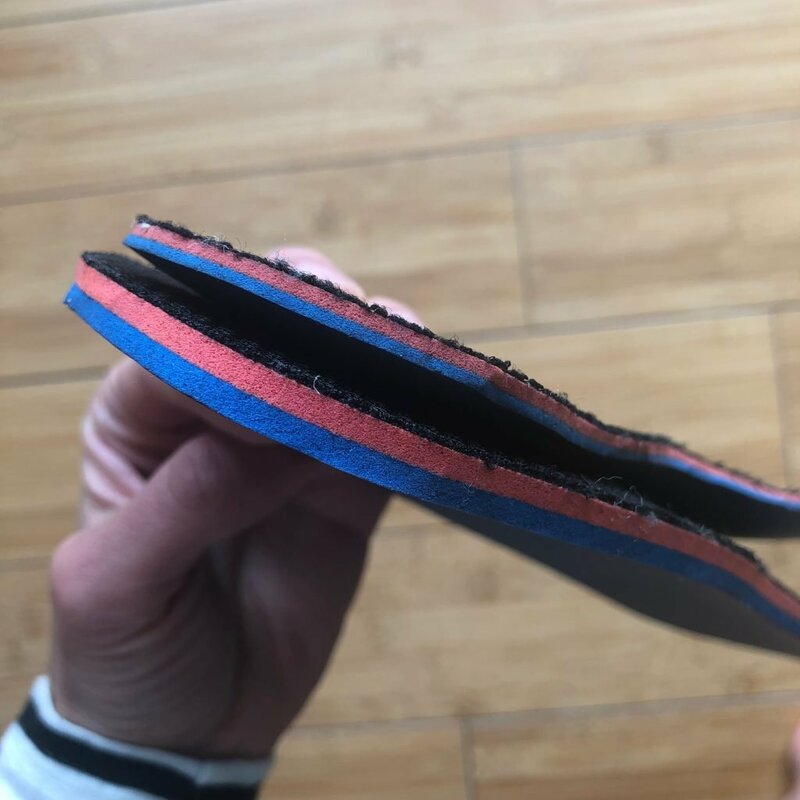 You can read more details about the materials he uses in the insoles here, but they are synthetic and essentially a super high quality memory foam. They come in a 3mm thickness, as well as a 6mm. The 3mm is what I’ve been using most often. It’s thin enough that I feel close to the ground, but still thick enough to be effective. He also sells a Sensole which is a thin insole meant to provide sensory stimulation for your feet. 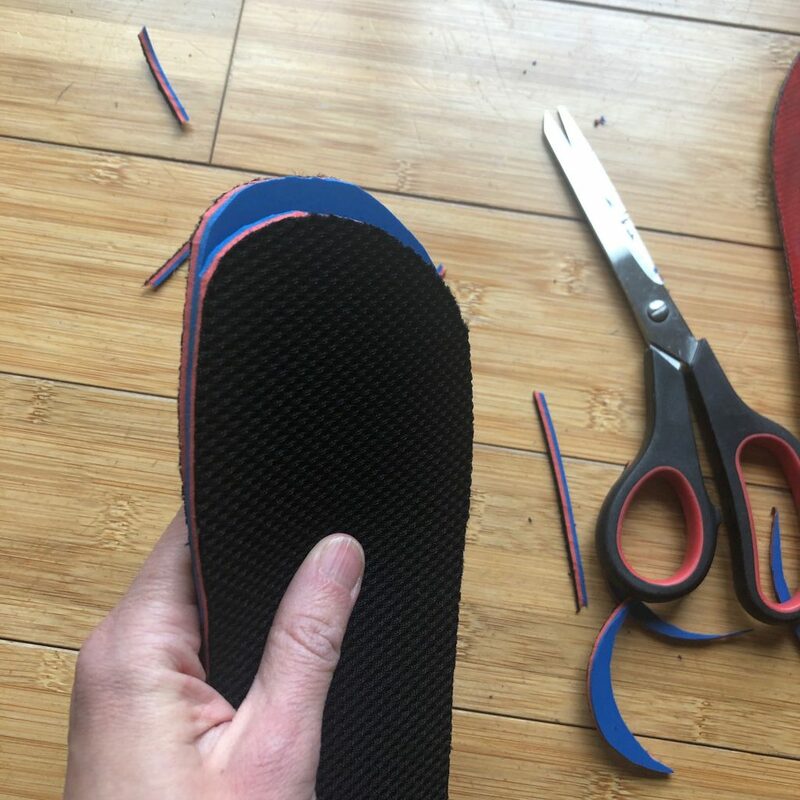 The idea behind these insoles is that everyone who goes minimal will go through a transition period (a generally understated and undervalued period). 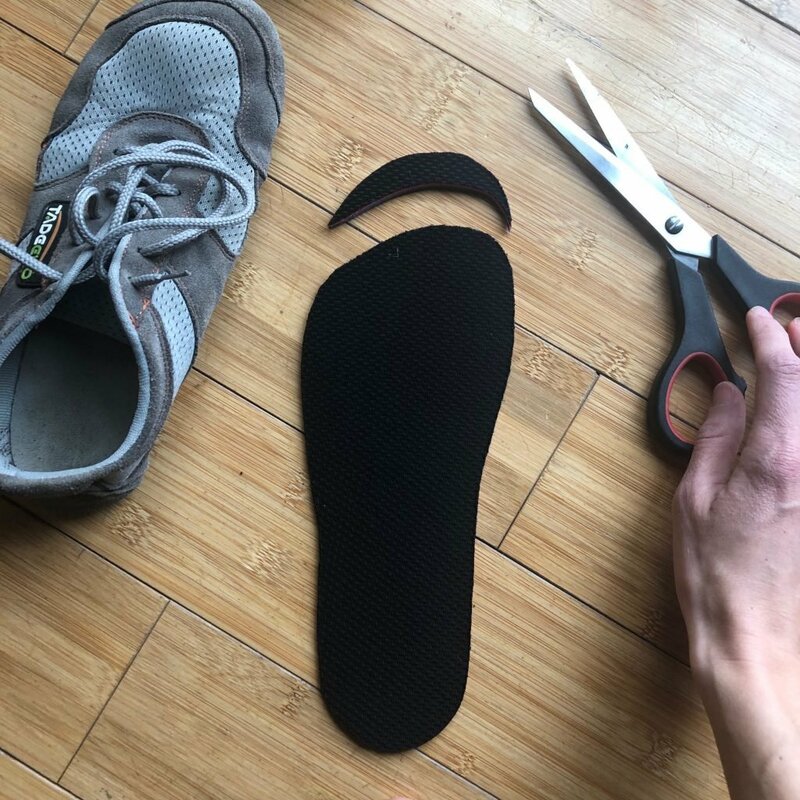 Instead of purchasing expensive shoes along each step of your transition, you can use insoles to ease into the barefoot experience. 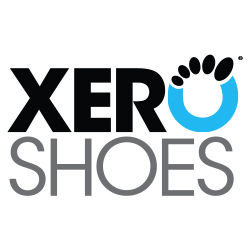 These insoles are zero drop, very flexible, and with no arch support. So the main benefit of these will be distributing your weight and absorbing impact. If you still need arch support and heel rise you can use other insoles as part of your transition as well. This is what I did for about a year. I used a Superfeet arch support in my minimalist shoes, taking it out for periods of time then putting it back in. Once you no longer need that, these NorthSole insoles would be the next logical step. When purchasing, select the size of insole based on your shoe size, and then cut them to fit your shoes. 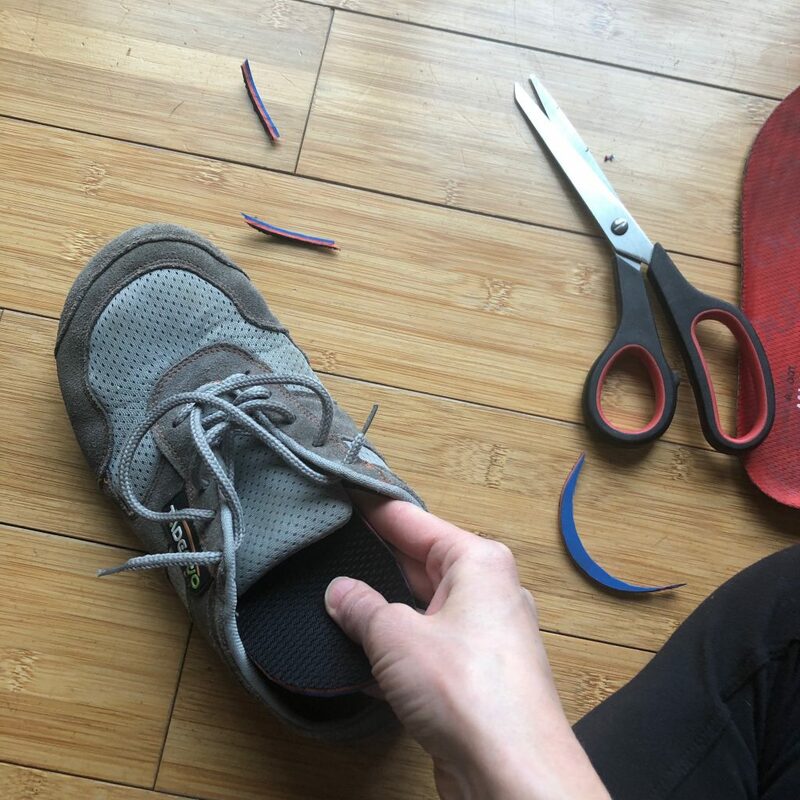 It’s easiest if you already have another insole to match them to, but you can also cut a little bit at a time and stick it back in your shoes to measure. Just make sure you only do little cuts so you don’t accidentally make them too small. I find these work best in shoes that have a removable insole. Otherwise you need to be sure the shoes have enough depth to add the insoles without squishing your toes into the top of the shoe. I have low volume feet, so I have quite a few shoes the 3 mm insoles fit in (My Tadeevos, Unshoes Terra Vidas, Vivobarefoot Fulhams, Sole Runner Sneakers, Hoss Oxfords). However, I only have one pair that the 6mms fit in (my Vivobarefoot Gobi Hi Tops that I sized up in). Another thing to consider is that the insoles will move your heel up higher in the shoe, and that may cause heel slippage in some shoes. I’ve been wearing mine without socks and my feet do sweat a little in these insoles. They cause significantly less sweating than the removable Vivobarefoot insoles, so that’s a plus. I really prefer my feet to be barefoot inside my shoes, so I don’t let the sweat deter me. The only other complaint I have with these insoles is that they tend to slip out of my shoes when I take them off. It’s a minor inconvenience to have to push the insoles back into the shoe every time. Even after I had considered myself fully “transitioned” to minimal footwear I struggled with my gait, despite the fact that I had done all the reading and been doing all the restorative exercises for years. I still sometimes have to consciously think about my gait, and I definitely still feel the effects of walking or standing on hard ground for long periods of time. This has been a source of frustration for me. After multiple years of immobility I get grumpy when I can’t do everything I want, and I start pointing the finger at my own body for holding me back. But the truth is my body isn’t out to get me, it’s trying to communicate with me! One of the greatest takeaways of the barefoot movement is the idea that everything about us is interconnected and only by getting in touch with our bodies and how they work can we begin to live an optimal life. Shifting my mindset to one of supporting my body instead of fighting my body has opened up countless opportunities for growth. 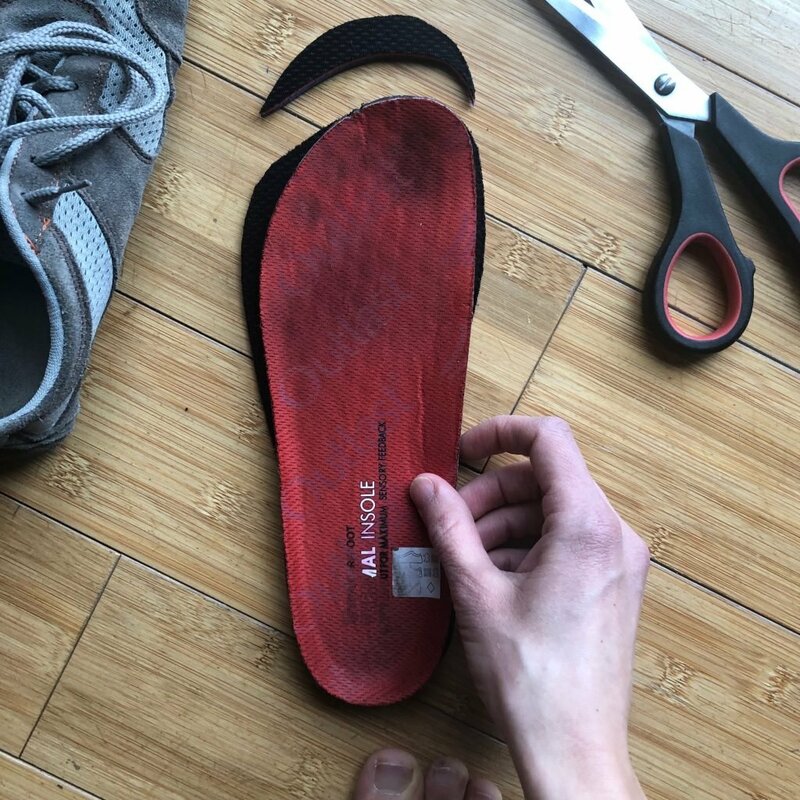 It was around this time of change in my thinking that I connected again with John and he offered to send me some insoles to try out. Perfect timing! The first day I put them in my shoes was a snow day (one of MANY this winter) and I had spent all day walking on hard flat floor. I was immediately impressed and felt near instant relief from the little twinges in my body. Honestly, I’ve put them in every shoe I can ever since and they have helped so much more than I expected. I’ve noticed I walk with more ease and don’t tense up as I land. I can walk longer and focus on a natural relaxed gait. The really interesting thing is that I now walk more softly even without the insoles. I’ve also been noticing bad habits like overstriding that are probably contributing to my trouble. Getting out of pain has freed up my mind to focus on other areas that need attention. 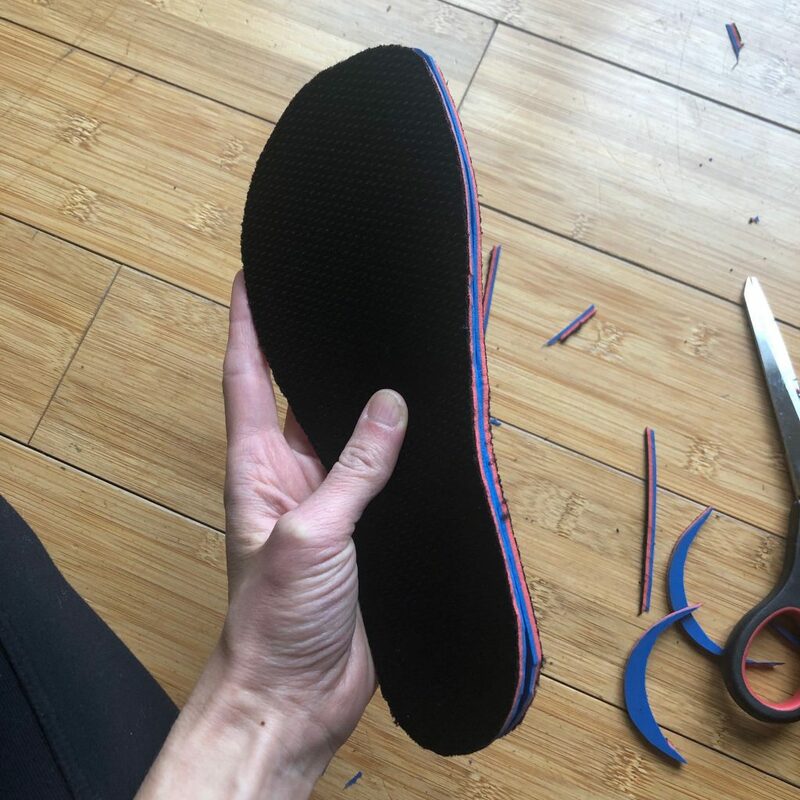 I still have a ways to go and am always working to strengthen/release/align, but am glad for NorthSole insoles to help me along the way. I understand that some people think you should not use cushion to disguise the impact of your footfall. And I agree to a certain extent. However, simply having your feet covered affects your ability to sense the ground and walk naturally. I personally tend to revert back to a long, sticky, heel strike when I’m walking quickly and for long periods of time, versus when I’m meandering around my house and backyard barefoot. Maybe having zero cushion in my shoes would teach me to change that more quickly, but it also might cause me a lot of pain that would interfere with my life. At the very beginning of my barefoot journey I went from being barefoot all day – and in serious pain – to wearing Birkenstocks all the time. My feet and hips were so weak that wearing the support got me out of pain. Being out of pain allowed me to work on my strength. And then I got off the support as soon as I could. This mindset of taking a slow, mindful transition is embodied in KB’s book Whole Body Barefoot. Most of us don’t have the time or inclination to put our entire lives on hold while we go back to ground zero of movement. We’re doing what we can, when we can. And we should congratulate ourselves for even beginning the process of going against the current of societal norms and making a change. I may not be devoting 100% of myself to this movement 100% of the time, but I will never stop listening to my body when it’s telling me that my environment is hurting me. And after decades of poor or no movement, my body still needs support. I am ok with that.